Trucks have larger blind spots than passenger vehicles. Always avoid driving beside a large truck for long periods of time. Trucks have large blind spots that start behind the cab and extend for the length of the truck. Because the truck driver will not be able to see you, you should avoid driving beside or behind a large vehicle for long periods of time. On a four-lane highway, slower traffic should travel in the right lane. Use the left lanes to pass slower-moving traffic. 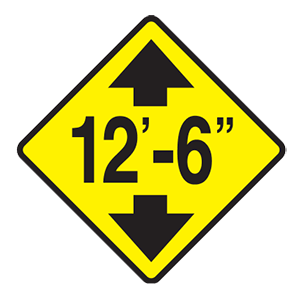 Stay alert, slow down, obey directions given by signs and flaggers, and be prepared to respond quickly to any hazards. Increase your speed so as not to impede traffic. When entering a work zone, you should slow down and closely watch the traffic around you. Obey directions given to drivers by signs and flaggers Be ready to respond quickly to any changes in traffic.